The best of today's racing takes place at Sandown and that's where I've gone to find my best bet, albeit in a race which is less competitive than the numbers suggest. Swendab (14:50 Sandown) landed a hat-trick last year when fitted with a visor, and has returned to form recently as the handicapper has loosened his grip, finishing in the frame on his last three starts. His best effort this year came when headed close home in a competitive 17-runner affair over 5.7f at Bath last time, and he showed a willing attitude when challenged. He will be 1lb higher in the weights in future, but is able to run off his old mark today, and even a small rise shouldn't prevent him scoring in the coming weeks. He doesn't face a daunting field here, with Whiskey Junction and Peter Island recent winners, but not particularly consistent sorts. The former has always gone well fresh, and stole a race from the front at Brighton on his return from 13 months off, but is unlikely to improve for that if past history is any guide, and may well regress. Whiskey Junction's beating of Miss Plum was franked when that mare won next time, but that came under a slight change of tactics, and isn't necessarily the boost it might seem. It's worth noting that another trio to have come out of that race have all run poorly since. My idea of the main danger to Swendab is Peter Crate's Picansort, who is much better than he showed at Lingfield last time, fading as if in need of the run. The yard's horses are going well (three second-places from four runs in August), and he's the other one to look overpriced. My next best comes on a disappointing card at Bangor, where Zhukov (15:00) should really be odds on to beat a motley field. Kevin Tork's gelding is no superstar, but wins his share, and gained his latest success at Fontwell last month. He was due to run there yesterday, but was taken out ostensibly due to the ground. I'd suggest that owner/trainer Tork probably wet himself when he saw how bad this contest was, and decided to take the much easier option. 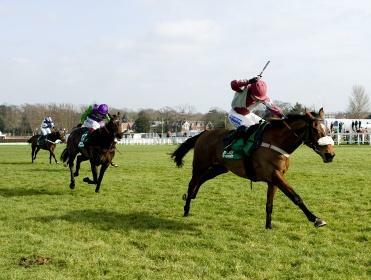 All of today's rivals are out of form, with Molinero returning less than 24 hours after a crashing fall at Hereford. Go Get Em Kid has beaten precisely one rival in four starts over fences, while Colditz was tailed off at a worryingly early stage at Perth 10 days ago. Zhukov may not be well handicapped in the grand scheme of things, but should have far too much firepower for this sorry bunch.